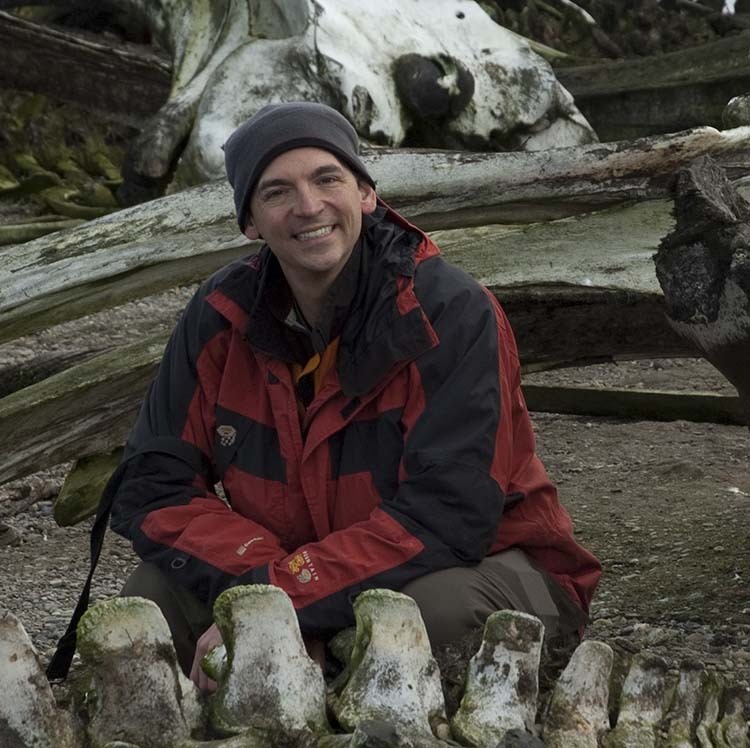 Conservation Paleontologist Josh Miller ’96, who is an assistant research professor at the University of Cincinnati, is on a quest to unlock ecological secrets of the past. Since 2013, he has been traveling to the Arctic National Wildlife Refuge in northeastern Alaska to map historical caribou calving grounds using shed female caribou antlers. Locked within the antlers are lost details about past populations, ecosystems, and the conditions of life dating back hundreds of thousands of years. Josh and his colleagues are doing isotope analyses of the antlers themselves to get a picture of dietary and climatic changes, and even changes in migration paths. Josh first glimpsed his future scientific career when was an eighth grader at Northwest. He credits science teacher Herb Bergamini for opening that first window. “Herb’s excitement and passion for all things geologic was infectious,” says Josh. As a senior, Josh took Primate Biology with science teacher Mark Terry, and it was then that he decided his future lay in studying bones. His larger passion for doing research that is relevant to the planet came from the entire Northwest School experience.